In a series of dental articles, the Saskatoon dental team at Neesh Dental share interesting dental information and education. 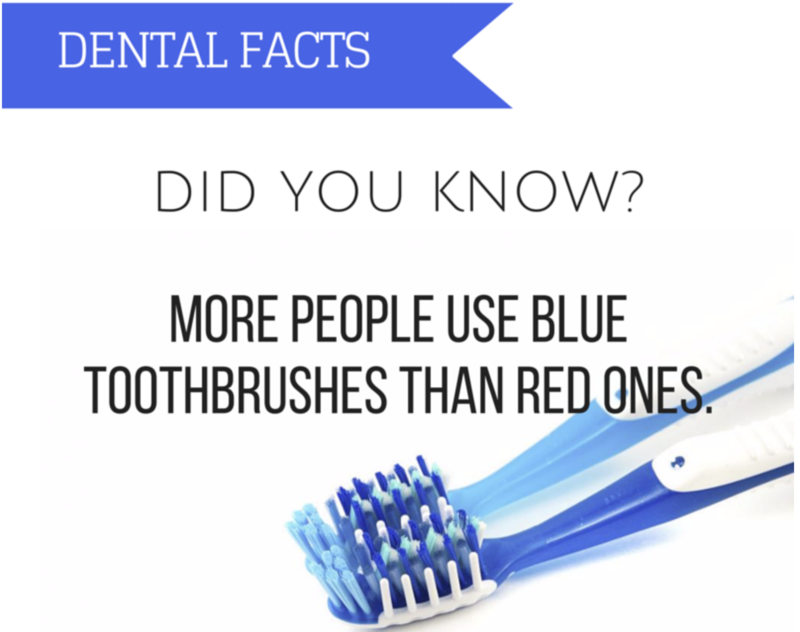 In our latest post, we discuss why people prefer blue toothbrushes! 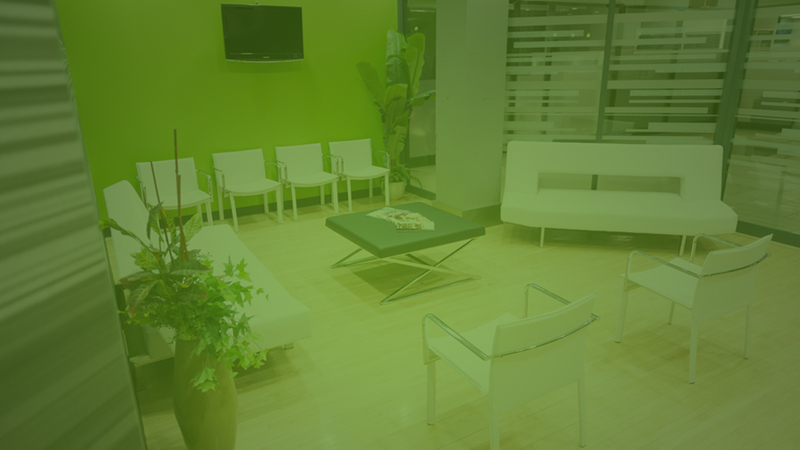 We talk to our patients ceaselessly about the importance of brushing their teeth. And so we hope you sincerely do that- twice a day (or more), please do stick that little brush in and slather the toothpaste to every corner of the mouth. Brushing our teeth has become second nature, but we might not have stopped to think about how essential a tool toothbrush has become in our lives in these modern times. It is one of the few things we can’t do without in our everyday life. We rely upon the toothbrush heavily for our dental care. But, what do you really know about your toothbrush? Also, we’d be interested to know what colour your toothbrush is as recently we read a fun dental fact. 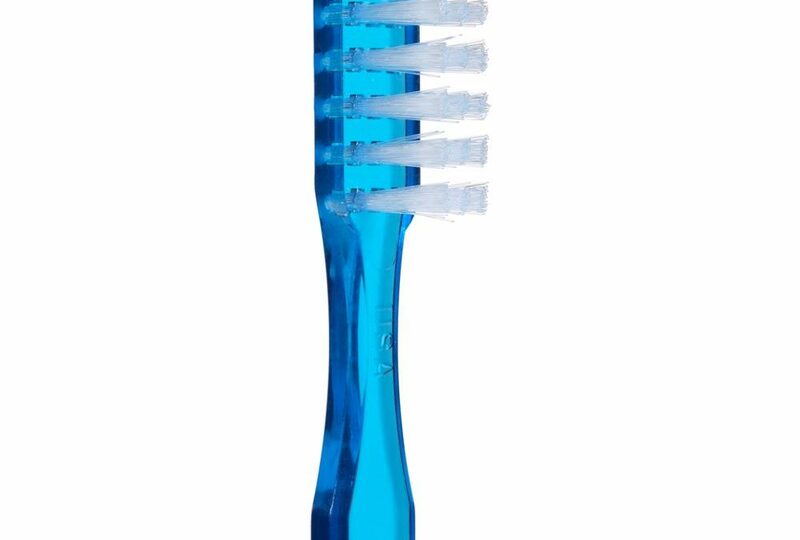 Did you know the most preferred colour for toothbrushes around the world is blue? We had to dig deeper to find out why Blue Toothbrushes rule! What is your favourite color? It’s one of the earliest questions children learn to answer. Color is said to influence our moods, eating habits – even who we date. It is also closely tied to national and political identity. 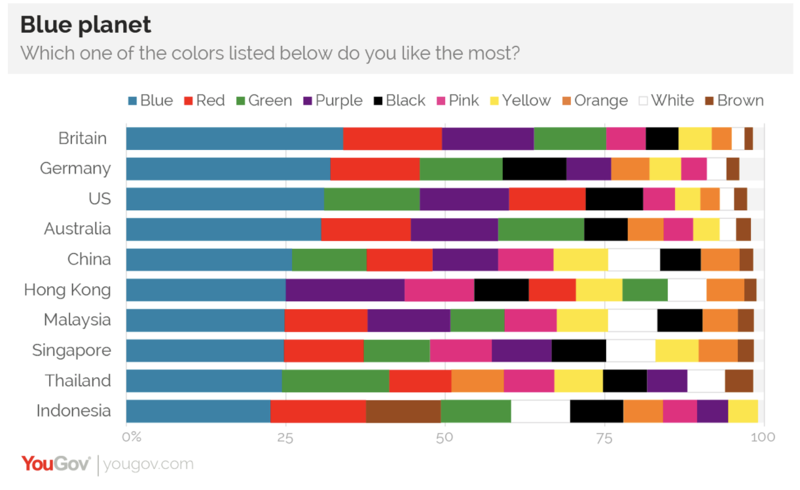 Yet a new YouGov survey conducted in 10 countries across four continents shows that one color – blue – is the most popular across the board. Between 23% (in Indonesia) and 33% (in Great Britain) like blue most out of the colors listed, putting it 8-18 points ahead of any other colour. The preference also filters through to different demographic groups within the countries surveyed. Though blue tends to be more popular with men than women (in the United States, the split was 40% to 24%; in Britain 40% to 27%), women still tend to pick blue more often than any other colour. Pink was, unsurprisingly, much more popular with women than men, but even among women it was preferred by only around 10-13% and was not usually any more popular than red, purple or green. Blue is also the winner across age groups and, in the United States, where respondents are broken down into racial subgroups, blue is preferred by roughly equal numbers of whites (30%), blacks (35%) and Hispanics (35%). Perhaps more surprisingly for a country often described as a collection of red (Republican) and blue (Democratic) states, US Democrats and Republicans are about as likely as each other to prefer blue (33% for Democrats and 29% for Republicans). However, 17% of Republicans like red – twice the number of Democrats who do (8%).